In the first she indicated to me that this statement was made to me before I knew how to bake a cake and that in fact as a result of the conversation I indeed applied myself to learning how to bake cakes. I have a fond memory of this time and creating what I called “make-up cakes”. I am not much for manuals and recipes, so once I’d made a few successful cakes – lemon frosting was my favorite, I abandoned the recipe and began improvising with my creations. For some unknown period, my family was getting a weekly “make-up” cake from me. I believe that knowing how to make a cake adds to facility of having it and eating it too. In the second conversation we spoke of the notion of “payment”. We agreed to the notion that free does not necessarily imply without payment, though I believe that this is really at the heart of the matter and a notion which deserves deeper investigation. The first concept – learning and knowing how to make a cake is actually quite linked to this concept of payment. Fully understanding and knowing how to bake a cake is in fact a form of payment. I surf. Surfing is free. However; to enjoy this sport there are various forms of payment involved; equipment, clean water with surf-able waves, physical fitness to enable me to paddle out and catch waves, transportation to the beach, etc.. 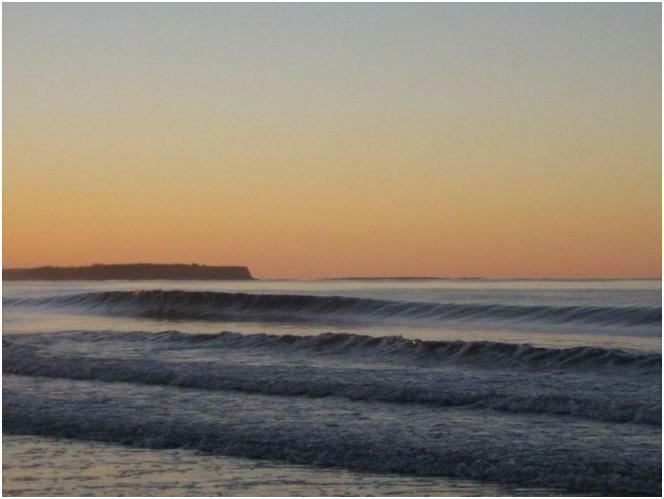 The payment I make today given my life circumstances at the moment is huge; yet, surfing for me will always be free – dropping down the face of a perfect glassy wave at dawn this morning in Lawrencetown, Nova Scotia – was ultimate freedom – yet the culmination of substantial payment and to some extent, sacrifice. Growing up, my mother used to tell me that I couldn’t have my cake and eat it too. I’ve never accepted this and throughout my life I have always been drawn to such paradoxes and searched for just this in all that I do. From a business perspective, “Sustainably Free” encapsulates the notion of “have your cake and eat it too”. However, perhaps not in the simple notion of giving away something for free (purchase price = $0), which might not be sustainable in the long run; though perhaps, through the notion of free in terms of the cost to produce, which indeed could increase sustainability and long term profit. For example if I love my job, then it costs me nothing to go to work and deliver upon my responsibilities. When I get paid for my efforts, my personal profit margin is 100%. That’s Sustainably Free! Sustainably Free: fosters explorative discussions on the theme of “have your cake and eat it too” in the context of environmental and cultural sustainability, hybrid business models, community – from ad hoc to formal, appropriate use of technology, and joyfully fulfilling our human potential. When we are able to maintain an ecological balance, nourishing ourselves and our families; self-directed and interconnected; without regard for known limitations and beliefs; giving readily in an open, honest and spontaneous fashion which enables others to succeed; we will be closer to sustainably free.